World Luxury Hotel Awards recognize luxury hotels for their service in a number of categories and are adjudicated within their global and regional locations. 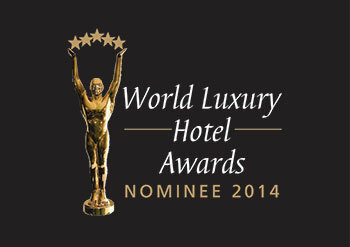 The awards aim to encourage highest service standards within the luxury hotel industry. The judging criteria reflect the quality of facilities and service excellence provided by hotels, whilst the size of property is not taken into consideration during the nomination or voting phases. It is a consumer based program where the guests submit their reviews to the organizing committee. The final classification is decided by votes per category cast by the guests themselves. The winners are announced and presented with their awards at the annual World Luxury Hotel Awards Gala Ceremony. We are excited about our nomination for these most prestigious awards, since it is an unbiased reflection on our commitment to provide our guests with extraordinary quality of service. Voting process will commence in 2014, once the nominations are complete. Samabe Bali Suites & Villas is a 5-star world-class beachfront resort uniquely situated on top of the cliffs of southern Nusa Dua, boasting magnificent, uninterrupted views of the Indian Ocean. It offers a whole new all inclusive concept of luxury called “Unlimited Privileges.” The benefits include a full gamut of premium meals and beverages, 24-hour butler service, a wide selection of signature activities, entertainment, spa treatments, return airport limousine transfers, and more. The resort features 81 suites and villas, 2 restaurants & 2 bars, a glass wedding chapel and other outstanding venues. At Samabe guests are invited to uncover the ancient secrets of Balinese culture with a whole host of leisure endeavors. Samabe Bali Suites & Villas is a member of Samabe Leisure, a collection of resorts, spa and theatre. Samabe Leisure features Grand Mirage Resort & Thalasso Bali, Club Bali Mirage, Samabe Bali Suites & Villas, Thalasso Bali and Bali Nusa Dua Theatre.